We offer up to you, our Amazing Blog readers, the incredible Foamie - the latest accessory that simply HAS to be tried. This brand ensures that you are getting absolutely every last drop of indulgence from your daily shower routine. Like the best of us, it has hidden qualities which may not be immediately apparent on first glance - certainly us boys may simply look at this as just another sponge - and that would be a huge mistake, for it is what is on the inside that counts … and how many times have we heard that? 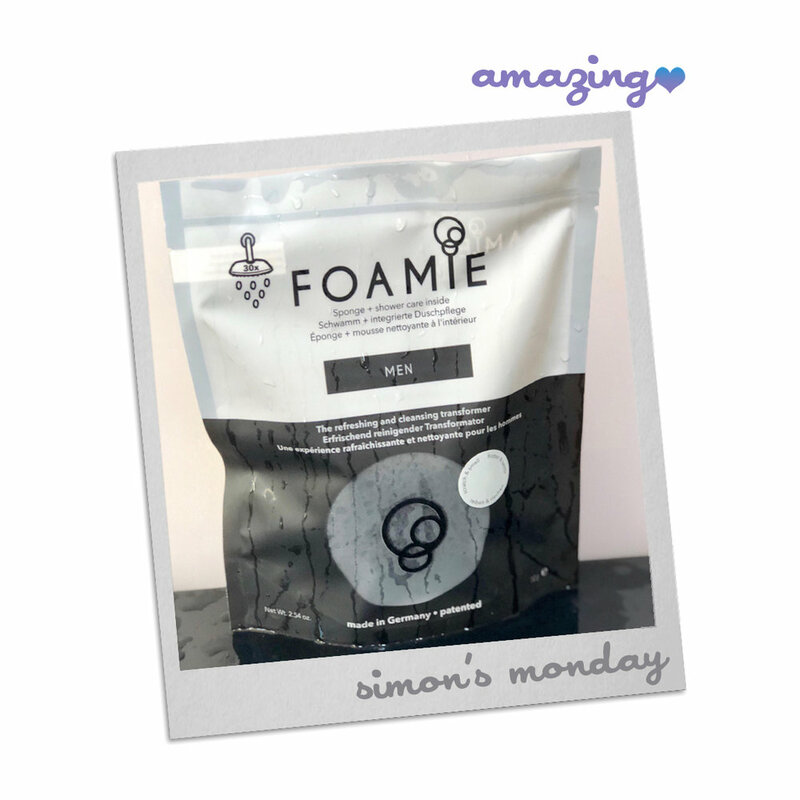 The genius of Foamie lies in the fact that the cleansing cream foam is contained within the sponge itself, and as you apply the water liberally, the deliciously scented magic is released. So no need to take any other paraphernalia under that showerhead - all the prep is done for you. The only necessity is to liberally apply water, and then the Foamie Men begins it’s 4 in 1 lathersome repartee: the sponge exfoliates and massages, whilst the soap nourishes and cleanses. We can also expect an extra dose of manliness into the mix, which can’t be a bad way to start the day … or evening! Now, here’s the science bit, and yes they have covered every aspect of user-friendliness too … the Foamie chaps are nothing if not consistent - there are no parabens, silicones, sulphates, mineral oils or lily aldehydes to spoil the party. Of course, going the extra mile, this amazing product is 100% vegan and has not been tested on animals. It is suitable for all skin types and pH adjusted to maintain the skin’s protective layer. And yes of course, the whole caboodle is patented, so let’s just celebrate this German ingenuity and their generosity in sharing it with us, whilst we joyously ablute. So ‘where’s the catch?’ we can hear you cry - well even the price is modestly placed at £7.99, and Foamie is widely available through supermarkets, chemists and of course on the Foamie website.